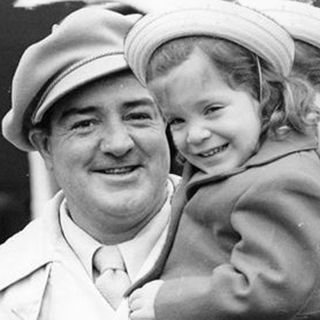 Chis Costello is the daughter of the late Lou Costello. She has written a book about her dad. This intimate portrait of Lou Costello (1906-1959) offers a rare look at one of the most talented comedians of all time. Starting in the 1930s, Costello attained enormous fame touring the burlesque circuits with straight man Bud Abbott (1895-1974). Their live skits (including "Who's on First? "), radio programs, and films such as One Night in the Tropics, Buck Privates, Abbott and Costello Meet Frankenstein, and In the Navy made comic history. Behind the scenes, however, Costello ... See More faced numerous crises: a bout with rheumatic fever that left him bedridden for months, the drowning death of his young son, and constant haggles with Universal Studios over its reluctance to adequately finance productions of Abbot and Costello films. Lou's on First goes beyond Costello's clownish persona to explore his Pagliacci nature: the private demons behind the happy public face, the heartbreaking moments in an otherwise storybook marriage, the business ventures soured by unscrupulous managers, and the true nature of the breakup of his twenty-one-year partnership with Bud Abbott.